Every business owner needs customers to survive. In a previous blog I talked about why your customers might buy. It’s great getting that initial sale from a new customer, but you want them to keep buying, long into the future. This blog covers how to keep your customers happy so they will stay with you. Most business owners know that customer satisfaction is important. But they don’t really understand how important it is. How can it affect their business and profitability. Or they simply don’t have processes in place. Look after your customers and they will buy more from you and recommend your company to others. Research shows that market share, revenue, and gross margin are improved by having happier customers. Many business owners may have customer service teams in place but forget to monitor results. Remember that customers are fickle and will go elsewhere if you don’t look after them. So make sure you do an audit of the customer journey, gather compliments and complaints, put processes in place, and seek to learn and improve. Social media has made good customer service even more vital. If you mess up an order, if you turn up late, or one of your workforce is rude, then chances are it will be posted immediately on Facebook, Twitter or LinkedIn. Set agreed standards for your business, your supply chain and partners. 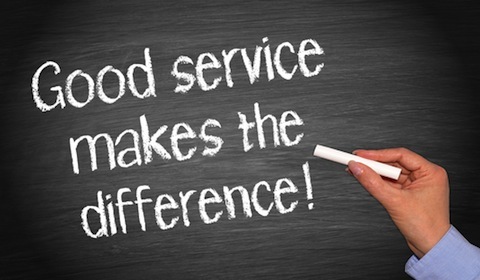 Give your customers a good service. When something goes wrong act quickly. Resolve the problem. Consider compensation or a good will gesture. Keep the customer informed. And if the complaint has come through Twitter for example, respond quickly and professionally, and ask the customer to take it ‘off line’ and either send a Direct Message or call you. Most people understand that mistakes happen. It’s about how we respond that’s important. Ensure apologies are heartfelt and genuine, and that you act quickly to put things right. People just won’t accept anything else. If you deal with the complaint effectively, you’re more likely to retain their business. According to research on customer spending, the biggest hurdle for getting loyalty schemes to work is getting consumers started. Once on board, people are usually hooked. People love to feel special so having different tiers of loyalty schemes, such as bronze, silver and gold, also works. So you have the responses, what do you do next? Do a follow-up survey to check customers agree with the changes, including any required price increase! It’s important that you use insight to interpret your research findings. You don’t want to make a couple of people happy, only to totally frustrate the rest! According to the Harvard Business School, if you increase customer retention rates by 5%, profits can increase up to 25%. Also consider the Pareto 80/20 rule. This states that 80% of your income probably comes form 20% of your customers. Make sure that this 20% of customers are delighted about you, your products and services and reward them for their loyalty. Then analyse the data and sort the customers by the amount of spend. Try and identify any spending patterns, and talk to them about additional goods or services. Just remember there’s only one ‘boss’ – the customer – and you won’t go wrong. In my last blog I looked at customer service policies. It’s not enough to have a policy, you need procedures to ensure that good customer service is carried out. This will help you set and maintain high standards, identify any problems quickly, and ensure you don’t lose customers. Policies, procedures and systems can help you deliver excellent customer service. Procedures give team members a step-by-step breakdown of their duties. This includes keeping records to help monitor and improve performance. Customer service policy and procedures should be reviewed at least once a year and updated using feedback from customers, staff and managers. I also recommend that my clients use their website to include their customer service policy and how to make complaints. Successful companies know that it’s important to show customers that they are valued. Different companies will have different approaches. Much will depend on their size. A larger company will have a computerised CRM system and could have its own customer service department. You should have procedures for complaints given in person, over the phone, by email or via social media. So let’s look at one example of a customer service procedure. Take down the details on a ‘customer complaint form’ – this will include the customer’s name, phone number, email address and details of the complaint. It should also include the name or names of staff members who have dealt with the customer. There needs to be a section for the outcome and date. Explain to the customer that you take all complaints very seriously and that they will receive contact from someone within 24 hours. If the staff member taking the call can deal with the complaint immediately, then let them. You’ll still need to ensure complaint forms are completed and monitored, as it could be a recurring problem. If the person answering the phone can’t deal with the complaint, then they need to know who should deal with it. There may be a supervisor within the team who can handle it. Or your procedure may state that it should be emailed to a named person to be processed and answered within 24 hours. The person who took the call keeps the paper form, and is responsible for making sure the ‘appropriate person’ has received their email and does respond within 24 hours. The person who handles the complaint should make sure that the outcomes section of the form is completed. Any correspondence should be attached. The staff member who took the original call needs to contact the customer to check that they are happy with the outcome. The customer will also need assurance that your company has taken action to make improvements to ensure it doesn’t happen again. If the customer isn’t satisfied then it needs to be investigated by a more senior manager. Responsibility is passed to them until the complaint is dealt with. File the paperwork and discuss the case at the next management meeting, provide recommendations and decide what improvements to make. The procedure for complaints sent by email, or letter, would be similar. Please get in touch if you need any help to set up or review your customer service procedure. In my recent blogs I’ve talked about how to attract customers and keep them long-term. I’m going to explore what you should be including in your customer service policy, before looking at procedures in my next blog. We know that the customer is ‘always right’. Business owners and managers need to understand this and ensure that the whole team embraces not just good, but great customer service. We should always make the customer feel special and valued. It’s also important that there is consistency in how customers are treated. Customers need to be treated well, on a daily basis, by all staff members. So it’s essential to have a Customer Service Policy. This sets out how staff members should deal with customers in various situations. It is a written code of conduct and should be part of the employee handbook, and referred to in staff inductions and appraisals. 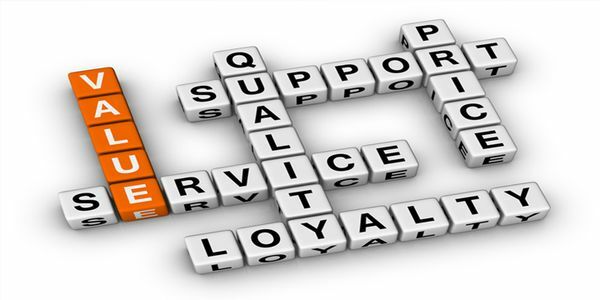 Good or excellent customer service is key to many businesses’ long-term success. Strong companies differentiate themselves from their competitors by focusing on delighting customers. They keep their customers, who act as their ambassadors, are loyal, and are happy to pay a premium. There are plenty of examples of excellent customer service on the Internet. After reading this, search for ‘FISH! Philosophy’ on how to create a culture where people choose to bring their best to work. It will give you some great ideas, even if it’s not quite right for your business. My team receives training on how to deliver our services. When greeting potential customers for example at a trade show, we make eye contact, introduce ourselves and ask how we can help. We regularly request customers to give their feedback. We value comments from our clients as it helps us improve and we use their praise to market the business. Yes, we are all human and mistakes happen in the best companies. What is important is that we learn from these mistakes… a timely complaint can help businesses avoid long-term decline. Always thank customers for taking the time to complain. In my next blog I’ll be looking at procedures and how they’ll help you to deliver your customer service policy. You’ve worked hard to get your customers, so make sure you look after them! Please contact me if you would like help in setting up, or reviewing, your customer service policy. 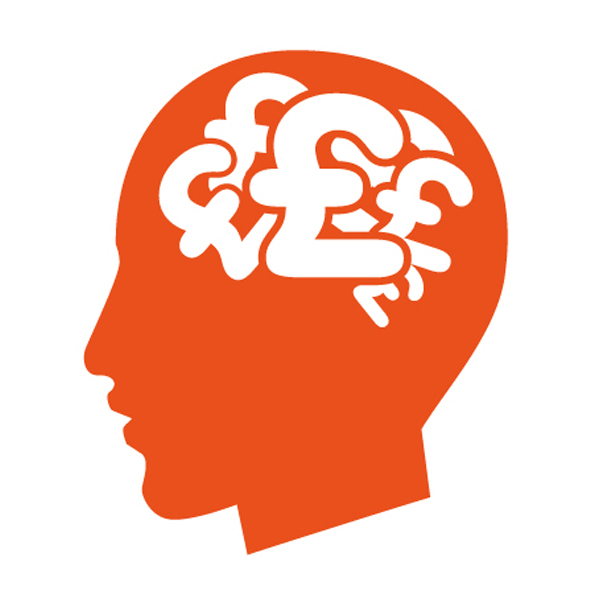 In this blog I take a look at how you can generate sales by understanding why customers buy. I’m going to be talking about emotions, and the role they play. Don’t panic… you won’t feel embarrassed, and you won’t be reaching for those tissues! You may know of the ‘4 Ps’ of marketing – product, price, place and promotion. And for those in the service industries, it’s the ‘7Ps’ of marketing… which adds people, processes and physical evidence (for example a trust-worthy website). Underpinning all of this is emotion… how we feel and how we respond to prompts. Business guru Simon Sinek published a book called “Start with Why”. Of course, customers need to know what you are selling but they also need to know why. Why are you in business doing what you are doing? Ask yourself how your business helps your customers or clients. Apple focuses on the why. Apple doesn’t talk about technical stuff… it uses bright colours, high-energy and good design. If you only approach sales with logic, customers can come across as fickle and contrary. But it all makes sense if you understand that most buying decisions are based on emotions. Information is important, as its meeting a need, but it’s an emotion that will lead to the final decision. How many of us have bought something we don’t need? Perhaps it’s as a result of clever marketing or a persuasive sales pitch. Or we just responded to an emotional prompt, perhaps as a reward for doing well or a pick-me-up after a tough day. If you don’t sign this deal is there a chance your business could go under? Would you lose the respect of your team if you don’t make a decision? Is your main competitor driving a top-of-the-range car… the one you’d like? Are your offices looking a little shabby? Are you making a poor impression? Most good advertising agencies know how to use emotions to trigger sales. Yet it always surprises me when people tell me they aren’t influenced by adverts! We even fall for the same old tricks… promotions offering massive discounts. A little research can show that your bargain sofa was full price for a very short time. People believe they’re getting a good deal, but they’re simply being manipulated. Think also about the use of celebrity endorsements… who really thinks the super-rich go to Iceland? I’m talking about the frozen food store here and not the country! In my view the best businesses are those that offer products or services that are good quality, at the right price, and it’s easy and quick to buy from them. Pricing is important – too low and people might not value your goods or services. You risk attracting customers who aren’t loyal. You reduce your profit margins. And you’re in real trouble if your competitor has lower overheads than you. Is your brand one that works on fear, or hope? Many of my clients come to me when they are in trouble. I try to focus them on the positives, to help them to turn their business around, and plan for a good future. Businesses in the health and fitness industry use fear and hope. Some warn you of the illnesses and diseases that’ll befall you if you don’t use their fitness programme. On the other hand, Weight Watchers show positive adverts, with smiling slimmers encouraging us to change our lives. I believe it’s important to make your customers feel special, valued and fairly treated. When negotiating be ready to compromise and offer alternatives. Both parties need to be happy with the end result. The most successful and rewarding businesses are those that offer a quality product or service, at the right price, and which understand why people buy. You’ll need to retain those customers by keeping them happy. I’ll be taking a closer look at good customer service in my next blog. Please get in touch if you need any help with your business. In my last 2 blogs I talked about how to attract customers and then how to make them stay with you long term. This blog explains how to put the procedures and processes in place to manage good customer service. We already know that the customer is always right and we should always make them feel like they are our only customer, but how do we manage and maintain good customer service on a daily basis? The first essential thing to get right is your Customer Service Policy. It explains to employees how they should deal with customers in various situations. For example “how to deal with a customer wanting a refund” or “how to deal with aggressive customers”. It really is a written code of conduct and is usually part of the employee handbook. Then the Customer Service Procedures have to be determined. This explains the daily practice of how each situation with customers should be carried out. A step by step breakdown. This will include various forms or record keeping monitoring performance. Both the policy and the procedures should be reviewed at least once a year and updated using feedback from customers, staff and managers. Also make sure the policy is on your website and documentation to show that great customer service is important to you. So let’s look a bit more in detail at the policy and procedures. This document will contain the procedures for delivering the customer service policy effectively. I’ll give you one example here as it’s too much to cover in this blog. Let’s look at a customer complaints procedure. As I have said before customer complaints are important as they are telling you your businesses is underperforming and it gives you room to make improvements. Don’t always see them as a negative thing. The complaint could come in by phone, email, letter or by a customer visiting your premises, so you need a procedure for dealing with each one of these. Also you may be using manual systems or have a computerised CRM system to record information. Another factor that will shape how your procedures are constructed is how many people you have working with you and if you have departments. 1) Take down the details on a “customer complaint form” – this will include the customer’s name, phone number, email address and nature of the complaint. It may also contain the name of someone within your organisation if an individual had been dealing with them. It can also have a section for the outcome and the date it was closed as dealt with. 2) Explain to the customer that you take all complaints very seriously and that they will receive contact from someone within 24 hours. 3) If the person on the end of the phone can deal with the complaint there and then, then let them. It may be that it is so small that it is not needed to be taken any further. You will still have the complaint form filled in so can monitor in case it is a recurring problem. 4) If the person answering the phone cannot deal with the complaint then the details from the form will be emailed to the appropriate person to be responded to within 24 hours. 5) The person who took the call, keeps the paper form, and is responsible for making sure the appropriate person has received their email and does respond within 24 hours. 6) The person who handles the complaint should make sure that the section of the form on the outcomes is completed. This could be by the “appropriate person” emailing them back and a copy of the correspondence attached to the form. 7) The person who took the original call then needs to contact the customer to make sure they are happy with the outcome and that you will strive to make improvements to make sure it does not happen again. 8) If the customer is not satisfied then it needs to be investigated further by someone higher up in the management. The responsibility is then passed to them until it is dealt with. 9) The paperwork should then be filed and discussed at the next management meeting to make the improvements. The procedures for email and letter would be similar in this scenario. Obviously if your company was bigger then you would probably have a CRM system and a customer services team to handle all complaints from the initial phone call, so your procedures would be entirely different. Every business owner needs customers to survive. In my last blog I talked about why your customers might buy from you in the first place. It’s great getting that initial sale from a new customer, but you want them to keep buying from you, long into the future. This blog covers how to keep your customers happy so they will remain with you for a long time. Most business owners know that they should be paying some attention to customer satisfaction, but they don’t really know why. How can it affect a business and its profitability? Research has shown that market share, revenue, and gross margin are also all improved by having happier customers. Many business owners may have good customer service teams in place but then forget to monitor the results of that team. – It can take up to 12 good experiences to make up for 1 negative one. They are fickle and will go elsewhere if you don’t look after them. The arrival of social media has made the importance of good customer service even more vital. If you mess up an order, if you turn up late or one of your workforce is rude, then chances are it will be posted either on Facebook, Twitter or LinkedIn immediately and the damage is done. If you give your customer a good service or product initially then that’s a start, and when things go wrong you must act quickly and get their problems resolved. That way they will still refer business to you, even though you made mistakes, because they could see that you cared enough to correct your errors. Always keep your promises and your word i.e. don’t say you can deliver within 3 working days if you cannot. Maybe encourage your customers, to mention on social media, if they have had good service from you. Or you could use feedback forms on your website. To long term, regular customers you should offer discounts or something else that rewards their loyalty. Joseph Nunes and Xavier Dreze are known for the research they have carried out into consumer spending. They state that the biggest hurdle for getting loyalty schemes to work is consumers actually getting started. Once on board though and they are usually hooked. They love to feel special so having different tiers of loyalty schemes works as “gold” card members feel more superior to “silver” card members. 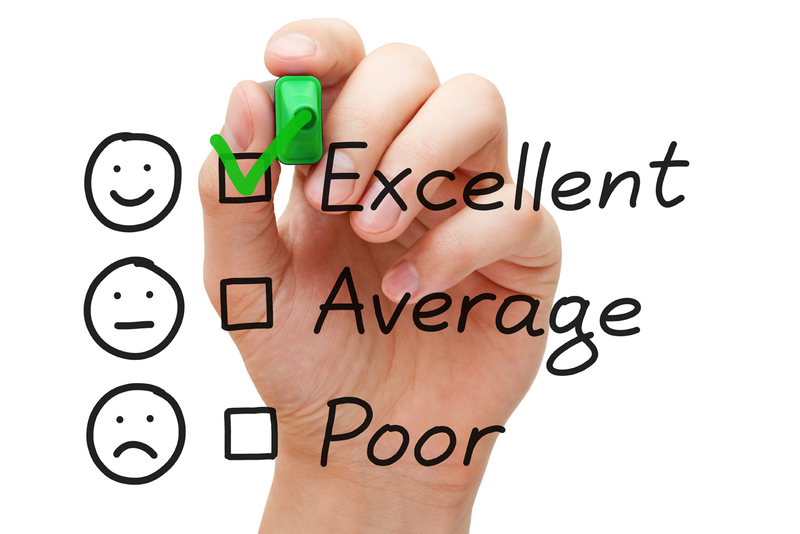 Getting feedback from your customers will really give you an insight as to how you are performing. Try a short survey, either by phone or email, and record the answers and present in meaningful statistics, to get a glimpse as to where improvements can be made. Make sure they know how much you value their opinion and that you will take seriously any recommendations made. Once you have the responses from your customers you must listen to what they have to say and maybe be ready to change the way you do things to give them a better experience. You will need to research the possible changes and maybe do another survey to see if all your customers agree that the change would be better. You don’t want to make a couple of people happy, only to totally frustrate the rest! If you increase customer retention rates by 5%, profits can increase up to 25% – according to the Harvard Business School. If you apply the 80/20 rule that states that 80% of your income probably comes form 20% of your customers, then you know where you should be focussing your efforts first, when it comes to customer service. Make sure that 20% are ecstatic about you and your products and services and reward them. Then analyse the data and sort the customers by the amount of spend. In my next blog I look at how to deliver good customer service and what a customer service system consists of. Tina Marie Parker has been working with SME business for nearly 30 years. She has worked with business owners from a wide variety of industries. From 5 to 200 staff and from £500 thousand to £10 million turnover. She can help you too. Customers can be fickle funny things at times. Most of their buying decisions are based on emotions. Obviously information helps but at the end of the day it will be the emotion that will force the final decision. If you stir up enough of these emotions it is inevitable that they will buy. Have data or information to back up your sales pitch and make sure that it triggers some of the above emotions. They might base their decision on past experiences. Maybe they were let down by a company before and are worried you might do the same. They might have concerns about the extra costs or be worried about not buying from you sooner. Also do your research. If you know the person you are talking to has just started in his role then he will want to impress his new boss and negotiate a good deal. They want products/services that offer good quality, at a good price, and it’s easy and quick to buy from you. Advertising really affects consumers, but if you asked them if they were influenced by what they read and see on TV and posters, they would tell you that it does not affect how they buy. If you keep reducing your prices in order that customers buy from you, the ones that only focus on getting the cheapest deal, will leave you, as soon you try to put prices up. Promotions, sales etc all give consumers the perception that they are getting a really good deal, when sometimes it is just the companies being manipulative. You know the sales I mean. “Was £499 but now only 299, saving £200!” The likely hood is if you did your research and looked at the original price of the item it never was £499 in the first place! A good example of how fear forces decision making is how the health and fitness industry advertise. They remind you of all the wonderful illness and diseases that will befall you should you choose to not use their product and fitness program. There is also the exact opposite in this industry though. Picture the Weight Watchers ads. People smiling, looking happy, and showing off their before and after figures. We are encouraged because we could change our lives too. Think about the advertisements that use glamourous TV celebrities to promote their products. This peer pressure always influences as we want to have skin like them or drive cars like them, etc. Manipulation has never created loyal customers and it is always far better to have loyal customers that stay with you, and are not interested in what your competitors have to offer. Simon Sinek published a book called “Start with Why”. Of course customers need to know WHAT you are selling but they also need to know WHY. Why are you in business doing what you are doing? Out of all the reasons why customers buy from you the most important ones are that they need to feel special, valued and that you are treating them fairly. In 1988 Donald Trump published his book “The Art of The Deal” and in 2008 George H Ross – Donald’s Executive Vice President – released “Trump Style Negotiation” which summarised the key points from Donald’s book. Donald’s style has always been to focus on the relationship with your customers, suppliers and other negotiating parties. You must always make your customer feel that they are winning and that you are giving them a really good deal. Be ready to compromise and offer alternative deals. Final satisfaction for both parties should be the end goal. Once you have people and companies on board as returning customers you need to be able to keep them happy and make sure you look after them well. In my next blog I will address how to keep customers happy and give them good customer service, so until then if you need any assistance with anything please get in touch. Tina Marie Parker has been working with SME business for nearly 30 years. She has worked with business owners from a wide variety of industries. From 5 to 200 staff and from £500 thousand to £10 million turnover.